Actually, it is very important to make your commercial properties and place safe and secure from fire accidents. Whether it’s a public place, commercial building or an organization. Owners are responsible to make the organization safe and secure. Keep in mind that most of fire accidents use to happen due to negligence of employers and employees working in the organization. So make sure you hire a well trained staff members and maintain regularly electrical and gas appliances of the commercial building. It will help you to prevent having this type of accidents. Here in this article we are discussing about tips that will help you to maintain fire safety in commercial places. The first thing that you have to do while maintaining fire safety in the organization is to hire well trained staff members. Keep in mind that it will help you to prevent having any type of accident in the workplace. If you just can’t afford to hire well trained staff then prefer to conduct training programs for your staff. As that will help you to minimize the chances of having a fire accident in the commercial place. 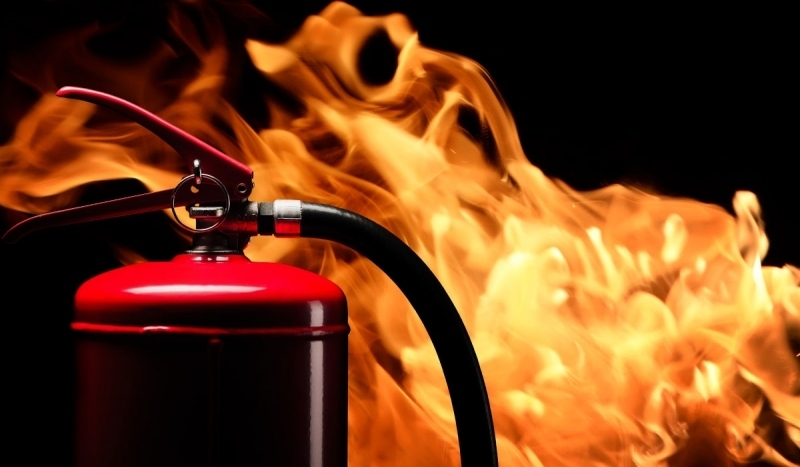 Another thing that you can do to minimize the damage of fire accidents is to install an automatic sprinkler system in the commercial property. As that will help you to control the fire in emergency situations. As we all know these types of systems will be quite expensive. So yes, if you can afford to install it, then prefer to place fire extinguishers in different places. That will help employees to try to control of minimizing the fire damage. Another thing that is very important to prevent having fire accidents within the commercial building is to keep all the electrical and gas appliances well maintained. For this you should prefer to get the commercial electrical safety certificate as that will help you to prevent having any type of file accidents within the building. Another thing that you can do to keep your commercial property safe and secure is to strictly enforce NO smoking policies with the organization. If possible, then you can also specify one smoking spot with the organization. Where employees can smoke and in other places there will be NO smoking policies. That will definitely help you a lot in promoting safe cultures within the organization. Keep in mind that you should never allow the cleaning department to store anything that is combustible within the commercial building. Keep in mind that it might be very dangerous and become the reason of causing a fire in the building. So its better to take preventive measures and prevent having such accidents. Another very important thing that you must do is to install smoke alarms and detectors within the property. As that will help you to recognize the smoke that's expected to cause a fire. These detectors will help you to take precautionary measures in time so that you can prevent having fire accidents.